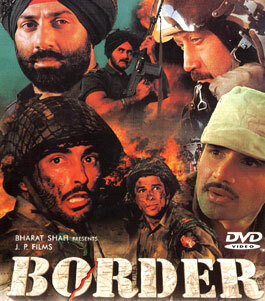 Mere Dushman Mere Bhai Lyrics of Border (1997): This is a lovely song from Border starring Sunny Deol, Jackie Shroff, Suniel Shetty and Akshaye Khanna. It is sung by Hariharan and composed by Anu Malik. Yeh jalte ghar yeh.. kala dhuan..
Barbadi ke saare manzar kuchh kehte hain haaye..
O ho ho.. o ho ho..
Chehare patthar hain... dil patthar..
O o.. o ho ho..